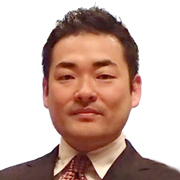 Norihito Nakamichi is an associate professor of Institute of Transformative Bio-molecules at Nagoya University in Nagoya, Japan. He has studied molecular mechanism underling plant circadian clock system with biochemistry and bioinformatics. He received Ph.D in Agriculture in 2005 from Nagoya University, and Japanese Society of Plant Physiologists Young Investigator Award 2014. He found that plant-specific transcriptional regulators are necessary for proper circadian clock function (e.g., period length of circadian rhythm, measurement of day-length).